Where can I, mysterious woman, sit alone at a bar in my best dress and drink? I love lush, dark, pretentious speakeasies where the cocktails take 15 minutes to make and cost my first born. As a kid, I dreamed on the day I could be the mysterious woman sitting alone at a fancy bar and here I am as an adult, with the means to fulfill my dreams. 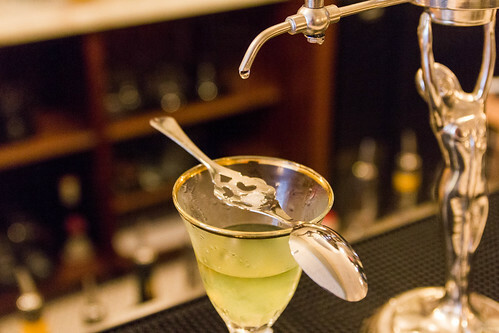 Zosia Blue asks for the best modern speakeasy-type bars in each U.S. state... and compiles a spreadsheet. Santé!